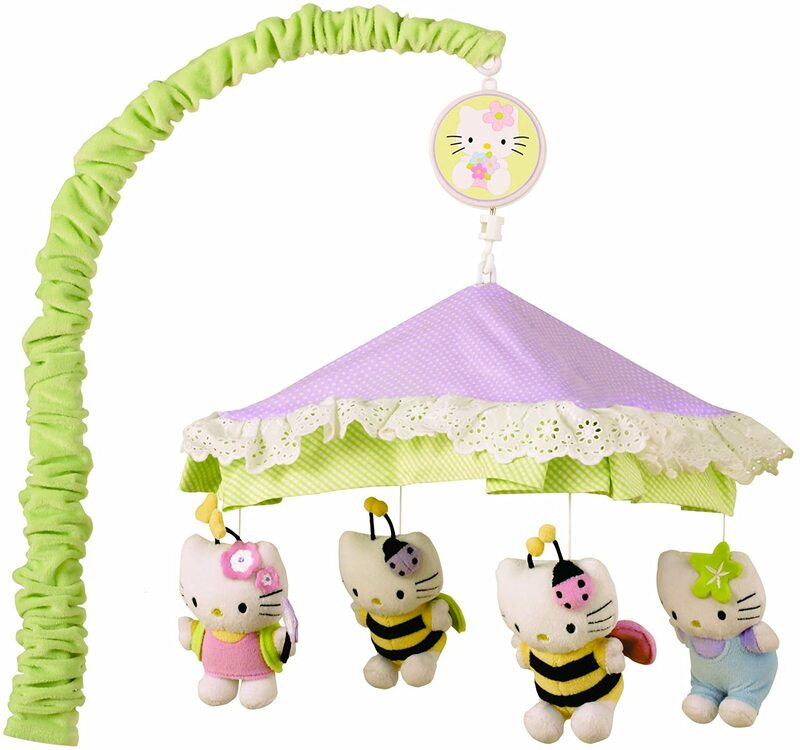 The Hello Kitty and Friends Musical Mobile soothes your baby to sleep playing the music of Brahms’ lullaby. Coordinates with Hello Kitty and Friends bedding set. Easy to follow assembly instructions are included. Contains optional wall mount assembly.